Performing a Radon test yourself can be easy and accurate. Here's how! The second leading cause of lung cancer in the United States, Radon is an odorless, colorless, and tasteless gas. Since Radon is invisible, you could have Radon in your home or business and not even know it! Luckily, Radon testing is convenient and simple! Here’s how to set up your AccuStar Radon Test Kit. If you don’t yet have a Radon Test Kit, you can purchase a Home Radon Test Kit here! • Don’t open windows or doors other than normal entry and exit. • Set heating and central air systems on Auto or Normal conditions. Window air conditioning units should be operated in recirculation or vent-closed mode only. • Do not operate whole house exhaust fans. • Do not operate wood or coal stoves unless they are your primary source of heat. • Do not perform the test during unusual weather conditions, such as sustained high winds. • If a Radon Mitigation System is already installed, leave it running during the testing period. • Place canister in the lowest livable area in the home that could be used regularly, whether it is finished or unfinished. • If placing in a basement: Place the test kit anywhere except for a garage, root cellar, crawl space, or sump pump pit. • If placing on the 1st Floor: Place the test kit anywhere except for a bathroom, kitchen, laundry room, closet, or porch. • Place the test kit at least 3 feet from any door, wall, or window, and at least 2 feet off the floor. Test kit should be placed at least 4 inches away from other objects. • Test kit should not be placed under blowing air, near warm appliances, or in direct sunlight. 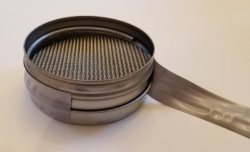 • If testing for a real estate transaction: The EPA Real Estate “Simultaneous (duplicate) Testing” Protocol recommends 2 test canisters be placed side by side, 4 inches apart, in the same test area. DO NOT open the test canisters until you are ready to perform the test. Incorrect handling of the test canisters will invalidate the results. Be sure to read all instructions included with the Radon Test Kit. You’ll note that each canister has its own distinct canister number. These canister numbers allow you and the testing lab to keep track of individual tests and test locations. Remove the vinyl tape from the canister and remove the lid. Be careful not to allow the tape to twist or to pick up foreign material, as this can impact test results. We recommend placing the lid on the bottom of the canister and reapplying the vinyl tape around the seam for safe keeping. Should the vinyl tape become dirty or damaged, you can replace it with electrical tape. 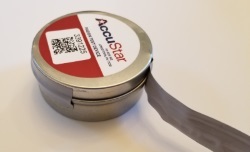 Place your test kit in accordance with the instructions above and record the canister device numbers, locations, open date and time (don’t forget AM and PM) on the Short Term Radon Test Data Sheet and sign the form as the “person placing device”. Test canister should be placed open side up as pictured to the left. After 48 hours, retrieve the Radon test canister. Remove the vinyl tape, replace the lid on the top of the canister, and reapply the vinyl tape around the seam. 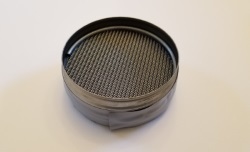 Update the Short Term Radon Test Data Sheet with the closed date and time (don’t forget AM and PM) and sign the form as the “person retrieving device”. Complete remainder of form, including your name, address, and contact information (at the top) and Indoor Conditions section at the bottom. As a home tester, you do not need to fill out the Professional Tester Information section. Keep the yellow copy for your records. Place everything back in the box and affix the enclosed mailing label to the front. Mail canisters as soon as possible, as a delay will invalidate results. You should receive your Radon Test Results by e-mail within a few days of mailing it in to the lab. If you do not receive your test results, or have questions about them or what actions may be necessary, please don’t hesitate to Contact Our Offices! 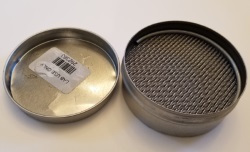 Once received, you should have a test result for each canister placed. Test results of 4.0 pCi/L or above are considered high and, as a result, a Radon Mitigation System would be recommended. Looking at this Sample Radon Test Report, you’ll see that both tests came in well below 4.0 pCi/L. See here for more information about understanding your Radon Test Results. 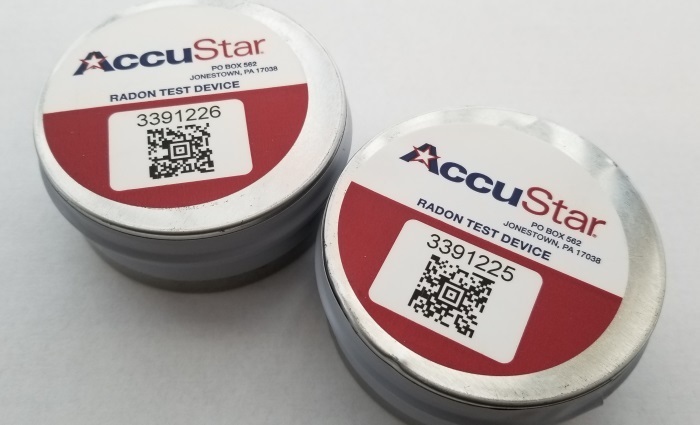 If the Radon Test Canisters were placed next to each other (for a real estate transaction for instance), the average between the two test results is taken and used to determine if the Radon level in the home is above the action level. We hope this helps demystify your Radon Test Kit and Test Results! As always, we are happy to assist should you have any questions and encourage you to Contact Our Offices!